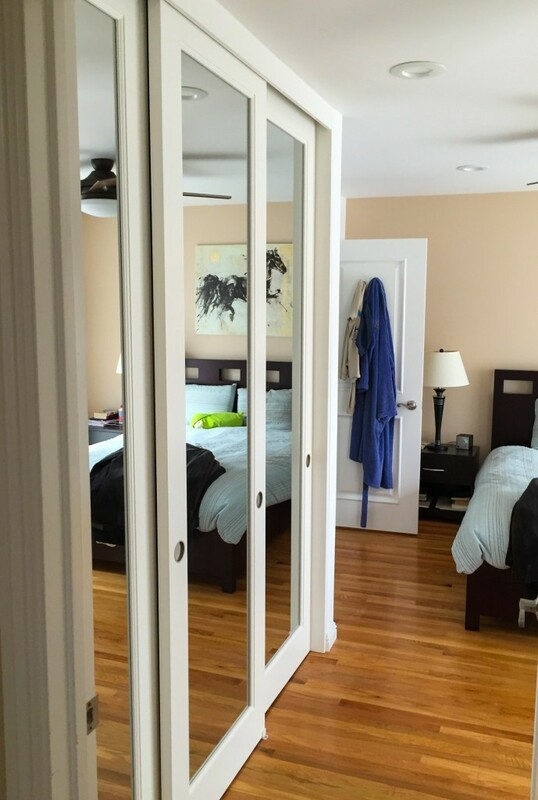 One of our most popular closet door products is the Mirror Reflections Closet Door, pictured below. These doors are constructed from solid mdf material which makes them very heavy and solidly built. 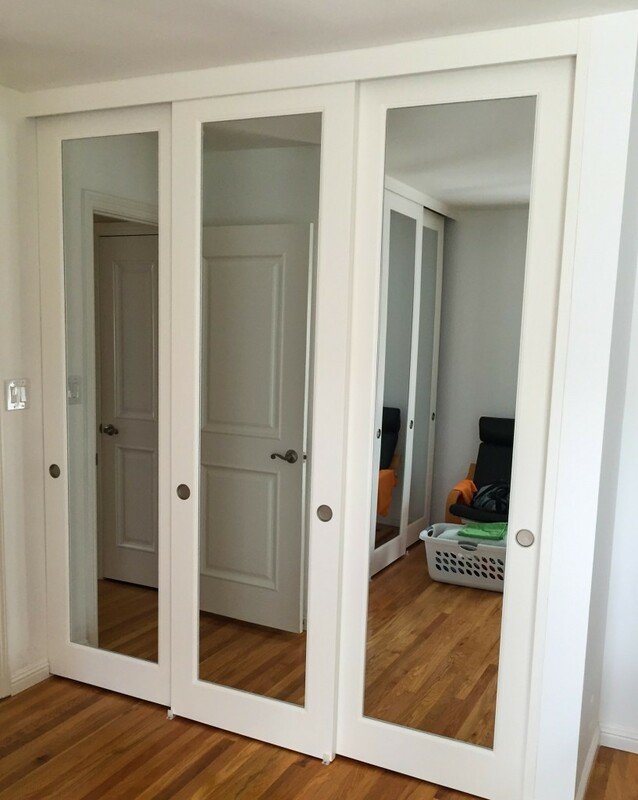 When installed as sliding doors, we always install them with heavy duty track and rollers because of their weight. Their solid construction makes them a delight to slide open and close when accessing the closet. 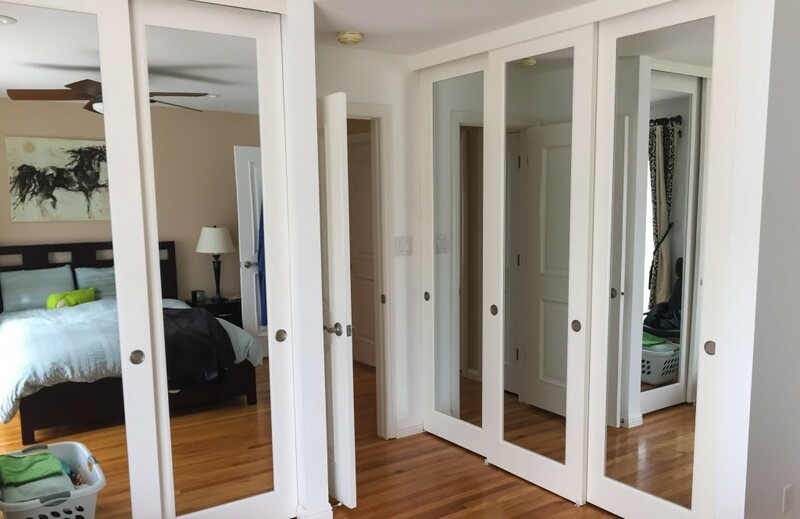 Although the doors pictured in this blog are installed as sliding closet doors, they can also be installed as swing doors (which is also the case with almost any door that we offer). These doors do have mirrors on both sides. We can also offer similar doors that have glass (laminated or with a choice of different textures) instead of mirrors. These pictures are from a recent home installation we did in Sunnyvale. As you can see, they make the owner’s originally small bedroom suddenly appear spacious and bright.